For those of you that have never heard of Bashment Soca, it is one of the most divisive forms of Soca coming out of Barbados, and thus Crop Over; people either hate it or love it, or in some cases hate themselves because they love it. Bashment Soca, like many other types of Soca, does not have a clearly defined date of creation, because as I have argued, a genre only happens when others start imitating the prototype recording. 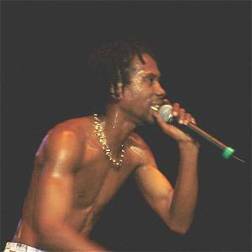 In this case, the prototype recording was “Hard Wine” done in 1996 by Lil’ Rick, who at the time was known primarily as a Bajan Dancehall performer and DJ*. Rick’s prominent use of Bajan dialect. We can once again see the strong use of Bajan dialect and the generally “odd” harmony. Here is another classic Bashment Soca hit, “Boom Tick Tick.” It sings about dancing, wukking up, which Hard Wine did and it is also mixed very raw in comparison with other professionally produced songs. * * See my Stabby post to come for another example of Bashment Soca in action!! !